Kids: Ever since he got laughs with Lloyd Dobler's adorably mulleted nephew in "Say Anything...", Crowe has trotted out one cute kid after another, and here he's got three more, including the great Elle Fanning. '80s Music: Yes, believe it or not, that's Tom Petty's "Don't Come Around Here No More" you hear playing over the trailer's opening-. We love us some Tom Petty, but who still listens to this song? And why? 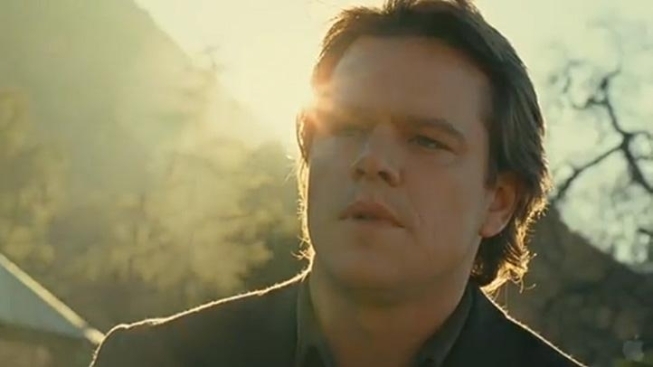 The "Jerry Maguire" Speech: OK, maybe it's not fair to call Crowe out on this one, cuz he basically re-invented the form with "Jerry Maguire," but you would think the man would've realized how much Damon's walkout in "Zoo" even looks like Cruise's great speech from the earlier film. The Younger Hot Blonde: It wasn't until "Almost Famous" that Crowe switched from brunettes to blondes, but since Kate Hudson walked into our lives, it's been Cameron Diaz, Kirsten Dunst, and now Scarlett Johansson. Patrick Fugit: Amazingly, this is only Fugit's second Cameron Crowe film, but it feels like he's been in all of them, probably because of the ubiquity of "Almost Famous" on cable. Based on the memoir of the same name, the film looks terribly earnest and predictable, though we have to admit that "Courage" speech Damon gives his son is Crowe at his best. "We Bought a Zoo" opens Dec. 23.